I hope you are well. Where have the years gone? Back in 2000 we tentatively held the first Marais Project concert at St Scholastica’s chapel in Glebe. I had no idea if anyone would turn up but just in case, I baked some scones for the audience to eat at interval. In 2019 we celebrate 20 years and on May 26 we are holding a special concert at the Independent Theatre titled Times and Seasons. Times and Seasons celebrates The Marais Project’s first two decades. The event features special guest, Swedish gambist, Leif Henrikson, a long-term friend and colleague of lutenist, Tommie Andersson. Leif, who studied in Basel, Switzerland, with the great Jordi Savall, will perform exclusively with The Marais Project during his time in Australia. In addition to Tommie and Leif, original Marais Project members Cathy Upex and soprano Belinda Montgomery will also appear. So, what can you expect if you attend? The first half of the concert sees The Marais Project present some of the best of the French Baroque repertoire that we love so much as a group. This includes music for two viola da gambas by Marin Marais and a cantata for soprano , two viola da gambas and continuo by Michel Pignolet de Montéclair. To add yet more interest to the occasion, we are launching our 7th CD, The Garden Party on the day so if you come along you will get a chance to buy an advance copy. The actual release will take place on May 31, Marais’ birthday. After the interval, Elysian Fields, will take to the stage. With members including jazz doyens, pianist Matt McMahon and saxophonist, Matt Keegan, Elysian Fields will play excerpts from our Scandinavian Project including gorgeous arrangements of Swedish folk tunes. 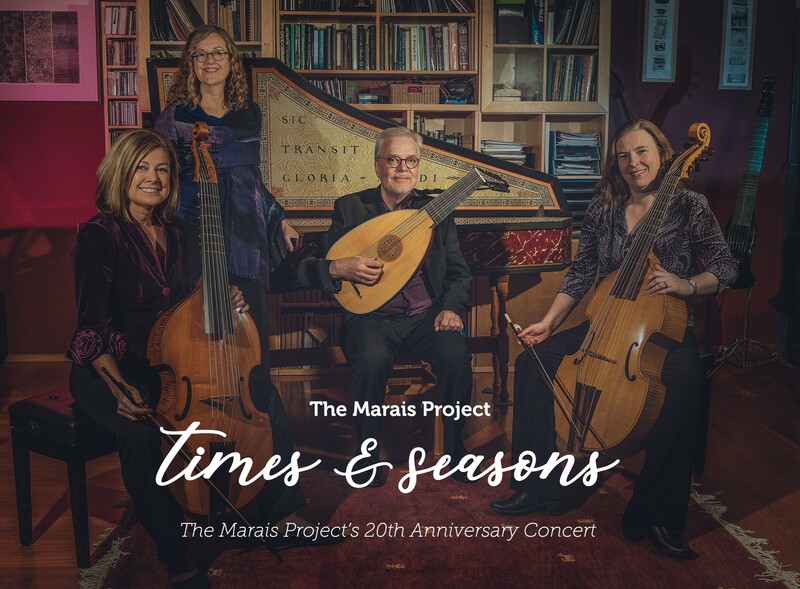 (click this link to hear an example) This will be the third occasion that The Marais Project and Elysian Fields have presented music for the acoustic and electric versions of the viola da gamba in the same concert.